This book gives us a great insight into the behavioral biases that we suffer from in every decision we make. It starts out analyzing Pete Carroll’s decision to pass the ball on the 1-yard line in Super Bowl XLIX. Everyone in the media blasted Carroll’s decision to pass which ended up in a game ending interception. 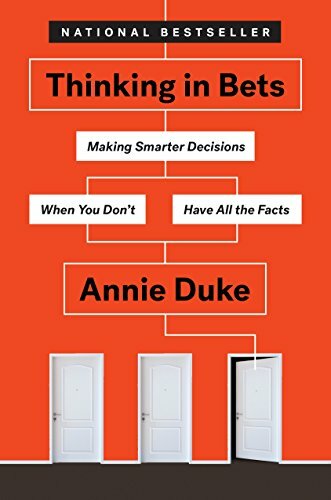 Annie goes into detail describing why he made the correct call based on the options available but how people refuse to view the facts because of the bad result. She goes into great detail about how every decision should be made in percentage terms instead of all or none. My favorite chapter was where she discusses confronting people when they think in all or nothing frames. By asking a simple question “Wanna bet?”, your brain is automatically forced to question what is typically hearsay and search for the real truth. 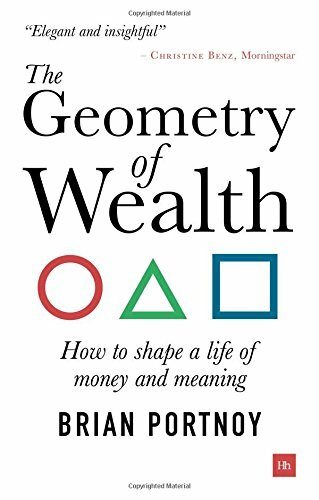 This book is told in three parts: purpose, priorities, and tactics which represent the three shapes on the cover. My favorite section is where Brian discusses experienced happiness versus reflective happiness. I was introduced to the terms hedonic adaptation and eudaimonia and how momentary pleasures are distinct from meaningful experiences. I enjoyed his take on money buying happiness versus reducing sadness. We constantly strive for more money and things, but there is an intersection where more money or things won’t make us happier. Brian hits on the point that we need to find balance in our lives and realize that material things do not make us happy but shared experiences with our loved ones do. There are many financial and life lessons to be learned in this book and I would recommend it to all audiences. Typically I’ve always considered myself a “value” type of investor but the strategies discussed in this book have forced me to re-evaluate my investing strategy based on the data presented. I haven’t highlighted in a book this much since college. 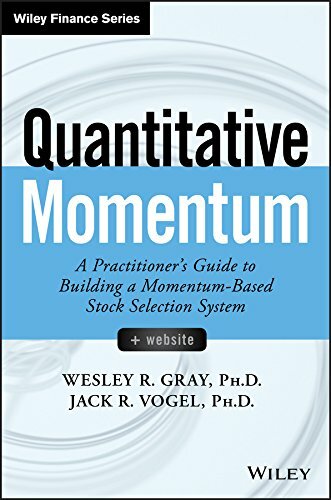 Wes and Jack go into great detail to define the momentum strategy as well as many backtests showing what works and what doesn’t work when defining this type of strategy. I absolutely loved this book and it was hard to put it down. This book is perfect for someone who doesn’t know anything about momentum investing or for someone who knows a lot about momentum investing but needs the data to back up their theories. I will be re-reading this book in the months and years to come as I try to build my own momentum-based system. I’m excited to meet up with the Alpha Architects team soon to discuss this book in depth. The Behavioral Investor takes us on a journey into the mind of the average investor. This was one of my first reads on behavioral finance and it didn’t disappoint. As traders/investors we deal with a wide array of emotions that affect the financial decisions we make on a daily basis. Knowing how to control our emotions can help us become better investors. Daniel presents a wide array of research in the area of behavioral finance that will make you question everything you previously thought you knew about yourself. 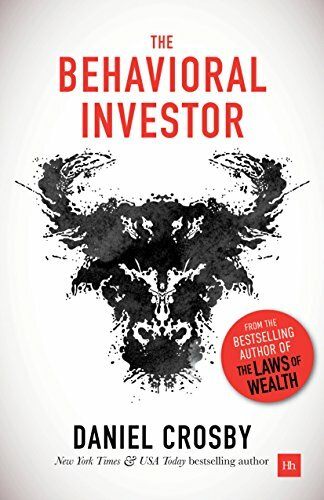 This book is great for retail investors who deal with their own inner struggles or even advisors who have to deal with the types of clients that constantly try to buy and sell the market at the worst times possible. This book was unbelievably well written and documented. I have never really been that big of a space buff but this book has made me a huge fan again. 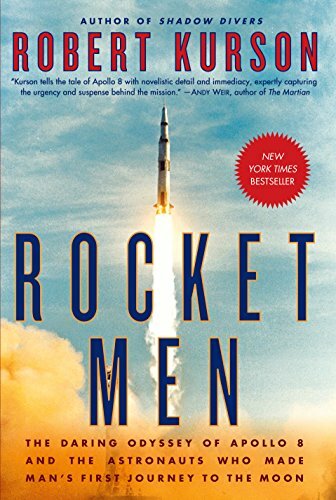 I had just recently watched the movie First Man so I had this visualization in my head of the late 1960s and I carried over those visuals while reading this book. My favorite parts in the book were all of the astronomical numbers they listed that are just too hard to even comprehend. For instance, the rockets that launched the astronauts toward the moon had a combined 160 million horsepower - enough energy to power the entire United Kingdom at peak usage time. Insane. Another thing I learned was how much planning went into this mission and the urgency that the United States were feeling to win the space race against the Soviet Union. This book is remarkable and I have already added Robert Kurson’s other novels to my reading list.